Fulham V Oldham Athletic, London, UK - 6 Jan 2019. 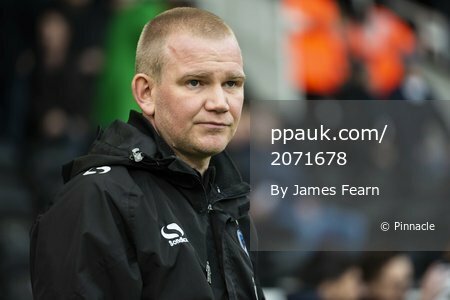 Caption: Pete Wild, Caretaker Manager of Oldham Athletic during the Emirates FA Cup match between Fulham and Oldham Athletic at Craven Cottage Stadium, Fulham, London on the 6th January 2019. [Photo: James Fearn/PPAUK].